Shady pitches from 50 to 100 square meters in lawn equipped with: 3 sets of toilets, toilets for the disabled (one for each group), washing machine, hot water. 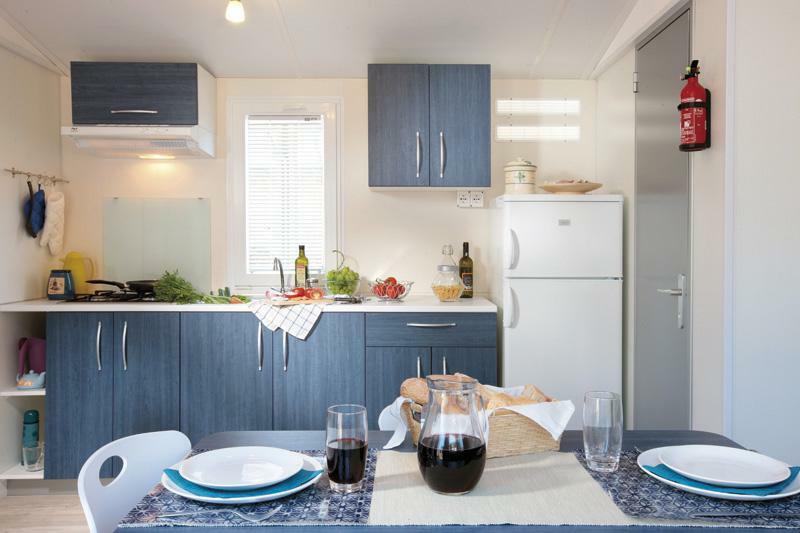 Mobile Home equipped with: 1 bedroom, 2 rooms with double beds; dinette light, equipped with a sofa bed for 1, 4 burner stove, sink drainer with refrigerator and cupboard bathroom with shower. 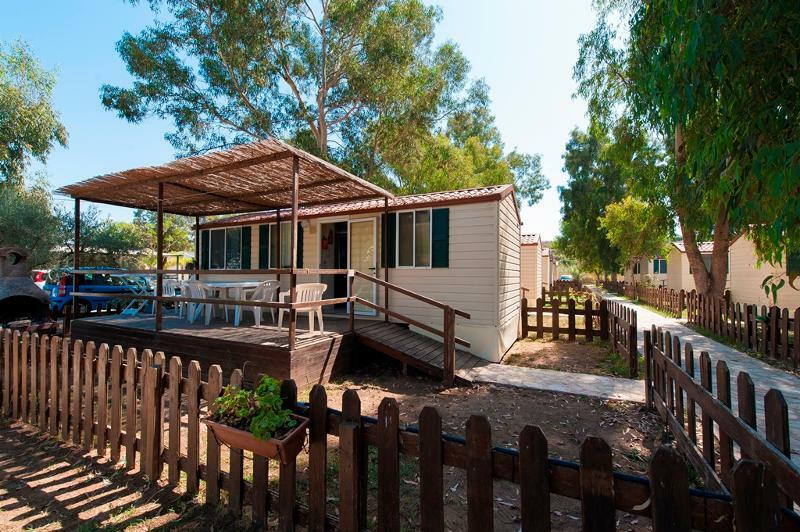 Each unit is divided by a wooden fence that surrounds a small garden in lawn, shaded veranda provided by chairs, beach chairs and table for breakfast outside. This model is air conditioned. In addition, each unit is equipped with a barbecue. 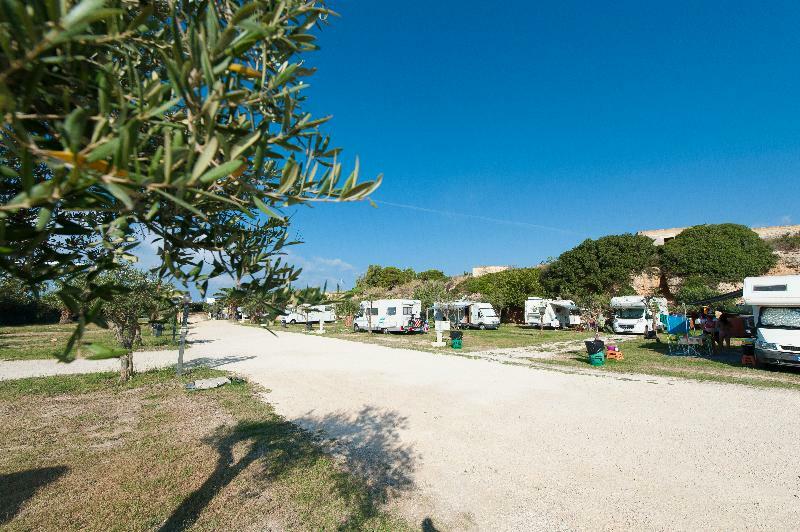 The Sporting Club Village gives you the opportunity to live an unforgettable holiday in one of the most beautiful stretches of the west coast of Sicily, choosing the most suitable to your needs: large pitches, comfortable mobile homes and villas. We wait you in Mazara del Vallo, ideal starting point for many excursions to explore the cultural and historical landscape of Sicily. The management and all the staff of the Sporting Club Village wish you a relaxing and funny holiday. Children and Extra Beds Baby cot Euro 4,50. Animals Allowed Yes, with confirmation. Accepted Credit Cards Mastercard, Visa. How far is the Camping from the beach?350 mt. The beach is equipped or free?Free Beach. The pool is suitable for children?Yes. 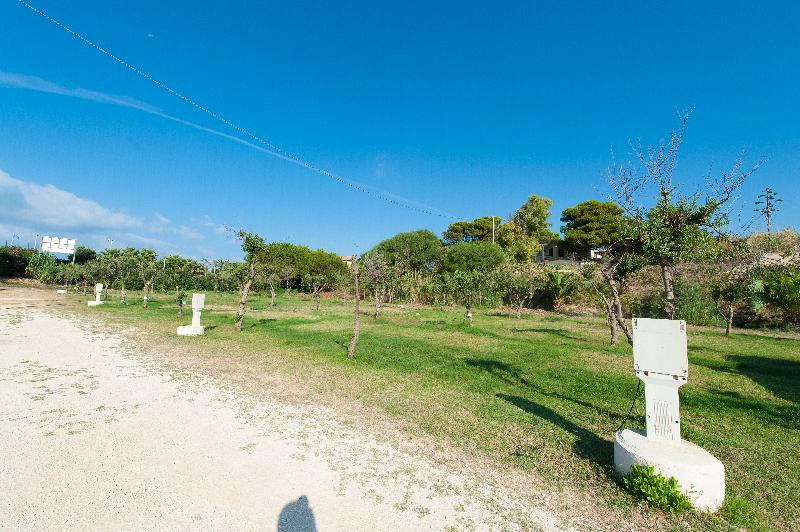 The use of the swimming pool is included in the price?Yes. There is a Club Card to pay?No. How far is the village from the nearest city center?2.50 Km. Accommodations are equipped with bed linen, bath linen and crockery?Yes. Accommodations are equipped with TV?Yes. Half Board or Full Board treatment available?Adults: Full board Euro 30,00; Half board Euro 22,00. Children: Full board Euro 18,00; Half board Euro 13,00. Hot showers are to be paid?No, they are free. Final cleaning is included in the price?Yes. Children and extra beds:Baby cot Euro 4,50.